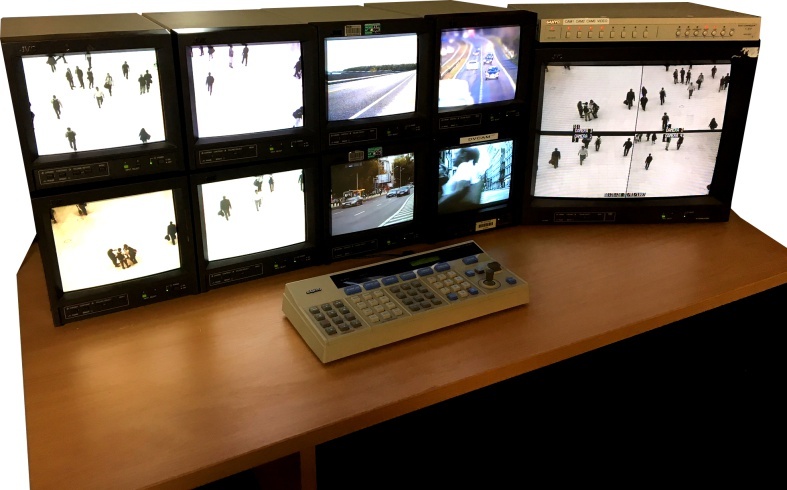 We have 12 small Sony black and white video monitors to create a CCTV or monitor room style installation. The screens are about 9" diagonally in size with a 4:3 aspect ratio. We can feed each screen independently with its own composite video source from a DVD player, media player or even live feeds from a video camera. 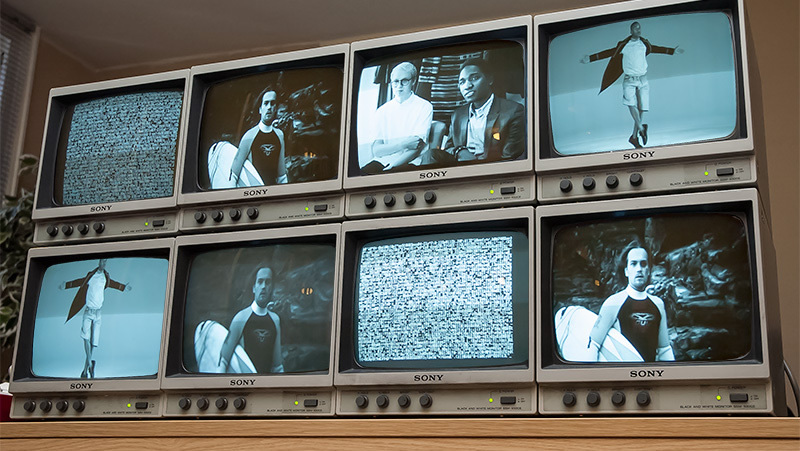 The screens can be configured to play the same footage on all or different footage on each, or any combination. The screens can also show still images. We also have 12 colour JVC monitors with 9" screens which can be used in the same way. In the picture below we have 8 small screens and a 17" screen as the master recorder. A CCTV controller is pictured in the foreground to. This is purely for the aesthetic and doesn't actually control the screens. We can also do the same using 17" colour video monitors as in this video below. Please note we did not build the wooden structure that these were mounted into. Again, the screens can be configured to play the same footage on all or different footage on each, or any combination. The screens can also show still images.